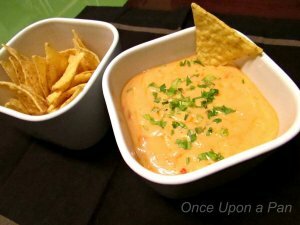 I’ve made this Chile con queso (cheese dip) so many times and I always forget to take some pictures to share it with you… how bad! We love it so much that we start eating it before it even reaches the table and then it’s too late for some nice photos 🙂 This time I locked the tortilla chips in the cupboard so I managed to get this delicious dip to the table without no one touching it! 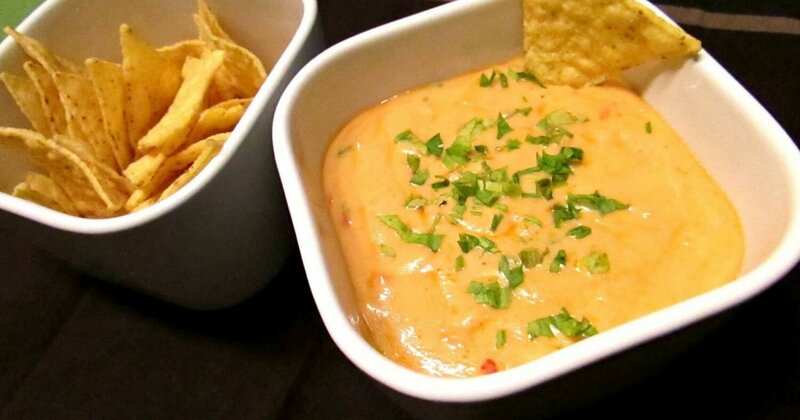 Chile con queso (cheese dip) is part of the Tex-Mex cuisine. It’s basically a smooth, creamy sauce, used for dipping, that is made from a blend of melted cheeses, cream, and chili peppers. It can be served with tortilla chips as a dip or as a condiment for fajitas, tacos or any other dishes of the Tex-mex cuisine. Place the cheese and cornflour in a bowl and toss to coat. Melt butter over medium heat in a small pot. Add garlic and onion and cook slowly for 3 minutes or until onion is translucent but not browned. Add the tomato (including juices) and cook for 2 minutes until tomato is slightly softened. Add the evaporated milk and the cheese. Stir, then add chilies and spices. Stir until the cheese melts and it becomes a silky sauce. Add salt to taste - amount required depends on saltiness of cheese used. Add and stir through the coriander. Stir in milk to adjust consistency (I use 2 tbsp) - the dip thickens when it cools, and milk can be added later to adjust to taste. Store in the refrigerator. To reheat add a small amount of milk to adjust the consistency as desired. If you add too much, just leave it in the stove for a bit longer.